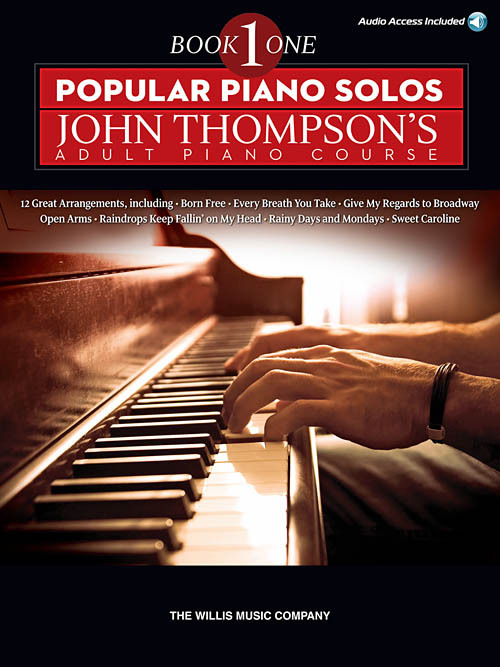 12 great arrangements for the more mature student that can be used on their own, or as a supplement to John Thompson's Adult Piano Course (Book 1). Titles: Born Free • Can't Help Falling in Love • Every Breath You Take • Fields of Gold • Give My Regards to Broadway • A Groovy Kind of Love • My Life • Ob-La-Di, Ob-La-Da • Open Arms • Raindrops Keep Fallin' on My Head • Rainy Days and Mondays • Sweet Caroline. This book includes access to audio tracks online that can be downloaded or streamed!